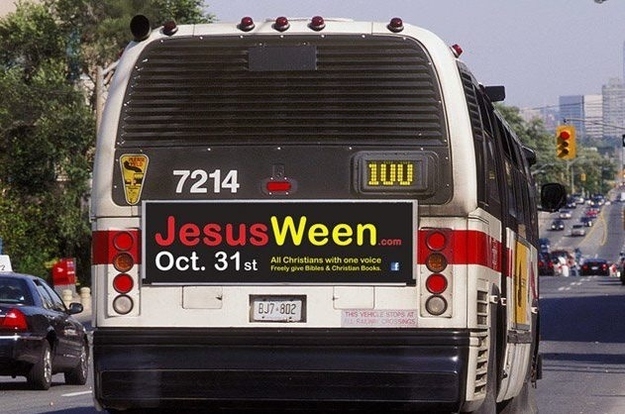 JesusWeen has been around since 2002 but has gotten an especial amount of media coverage this year, and their Facebook page is now up to 3,664 likes. I have mixed feelings about this initiative. My first reaction was to laugh. The name is just ridiculous, as is the dress code. My second reaction was to shake my head over the phrase “ungodly images and evil characters,” because it reflects the tendency of Christians to overemphasize the so-called evils of the holiday and to misunderstand the motivations of today’s celebrants. 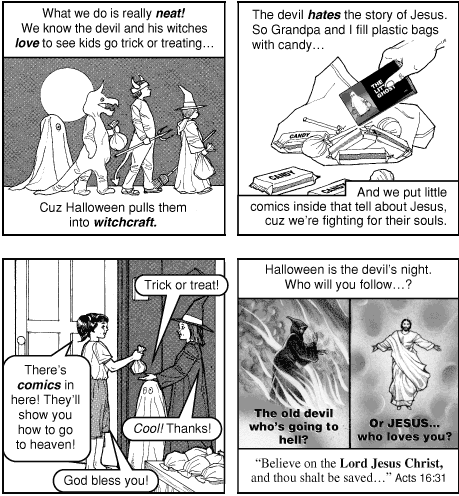 From "The Devil's Night" tract, created by Jack Chick, for sale at chick.com. 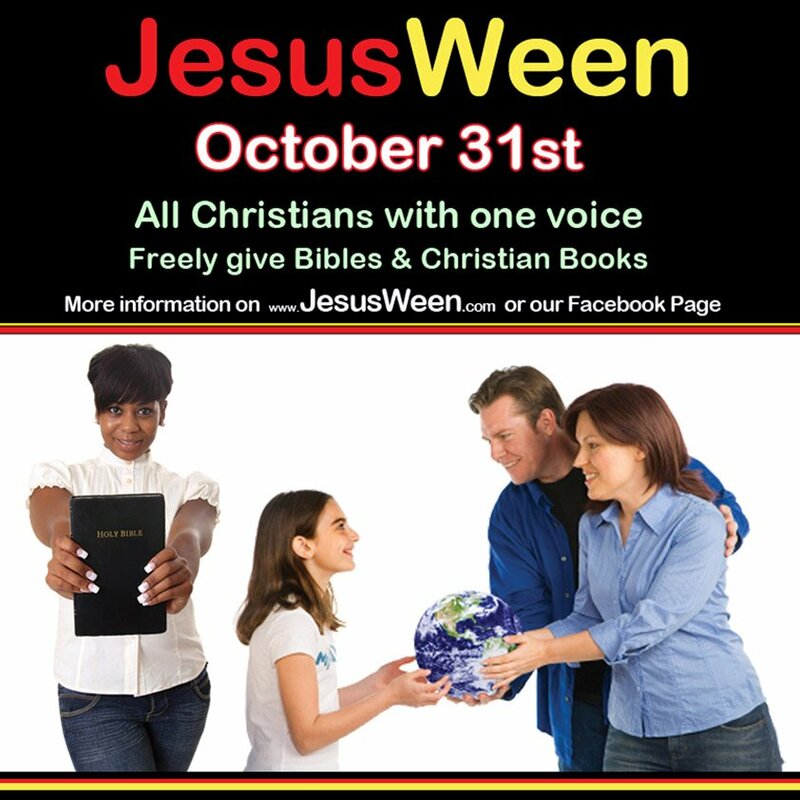 No, the JesusWeeners, as Jimmy Kimmel calls them, seem well-intentioned and fairly level-headed, albeit incredibly cheesy, in their approach. P.S. The video below, produced by the Discovery Channel, gives a good, brief summary of the origins of Halloween, which has both pagan and Christian influences. Of course there’s more to it, but here’s an intro, at least. This entry was posted in Jesus Kitsch. Bookmark the permalink.